It was the morning of our trip to Taipei, Taiwan. Since our flight on China Airlines was scheduled to depart at 10.25am at Changi Airport Terminal 1, the hubby, mother, sister and I left our house at 8am and reached the airport 30 minutes later. We arrived at Taipei (Tao Yuan) International Airport at around 3.45pm. Since my Dad (who was travelling there from China) only arrives at 8pm, we decided to head on down to our hotel first. From the recommendations that I had read on various travel blogs, the best way out of the airport is by taking an express airport bus (NT120-150) or the regular cabs. We decided to go with the latter as it was much easier but more expensive. The cab fare from the airport to Taipei main city was NT1200 (approximately S$54). The good thing was that it doesn't matter which type of cab you take. The 4- or 6-seater cabs both cost the same, so if you're in a big group or bringing a lot of luggage, I'll advise you to take the 6-seater cab. 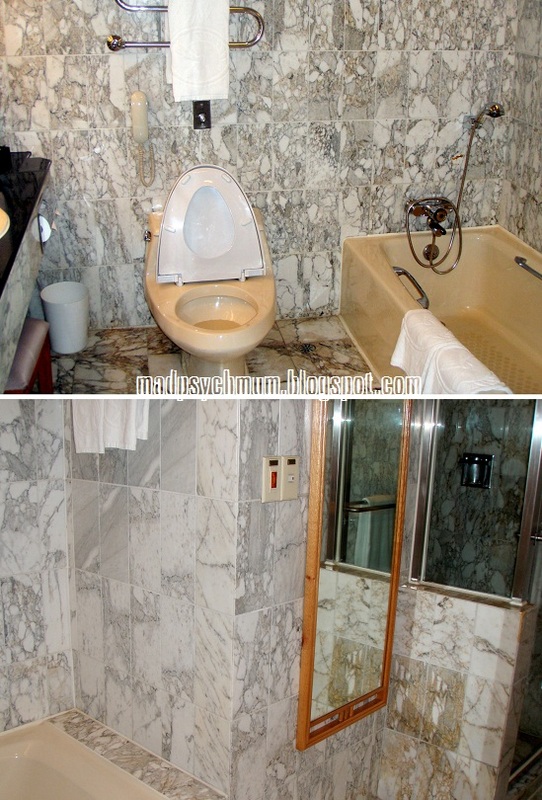 Our hotel was the Caesar Park Hotel Taipei 台北凱撒大飯店, which was located next to the Taipei Main Station 台北火车站. As we were staying in the Executive Suite (the 2nd largest room of the hotel), we were taken to the 9th floor to check in instead of the usual ground lobby. We were told that we had access to their business center where we could have free drinks and light snacks. And they had the best pineapple biscuits I have ever eaten! Delicious! After we have had our fill, we checked out our hotel room. The TV board can turn 360 degrees to face both ways! It was a really large room with great facilities, although it lacked a nice view. The twin bed executive suite my parents booked comes with two queen-sized beds so this room type is perfect for families with children. At $204 per night (we booked via Agoda), it is definitely value for money if you're travelling with children. 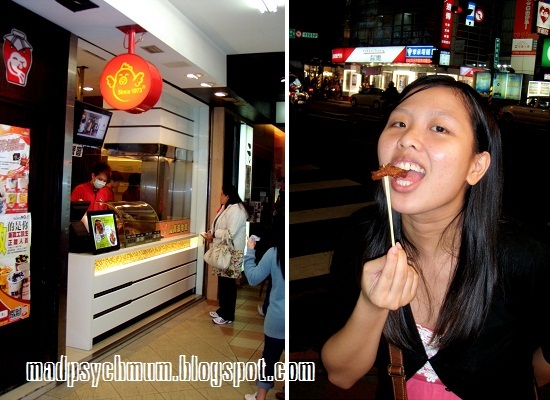 We then explored the surrounding malls and street stalls next to our hotel. The popular Shin Kong Mitsukoshi 新光三越 shopping centre was also just a stone throw away. The streets were also lit up with neon shop signs beckoning us to patronise them. We stopped by one, whose scent caught our nostrils. The fried sotong was really crispy and fresh as they were fried 'on demand'. Real nice for a cool 21-degree night. Next, we tried the fermented tofu 臭豆腐 (or smelly tofu), which is famous in Taiwan. My expression says it all! This particular stall was very popular with many people queuing to buy it. The tofu was crispy and the sauce was really nice, but unfortunately, we couldn't stand the smell! According to the hubby, it was like stuffing a used sock down your throat. I guess if we didn't smell anything we might have liked it. Next, we explored the Underground Shopping Street 台北地下街, which stretches from Taipei Main Station to Taipei Railway Station. The Chinese words say, "Welcome to the Underground Shopping Street"
Here you go peeps, you're welcome! Later that night we met up with my dad at the hotel. As it was late and he was tired, we decided not to visit Shida Night Market 师大路夜市, which comes highly recommended by my friend L. According to travel blogs, this night market is more commonly patronised by locals unlike the tourist-y Shilin Night Market.